In the space of just a very few months, the landscape for New York lawyers representing and advising employers on sexual harassment compliance has dramatically altered. New federal and state laws impose new restrictions on mandatory nondisclosure agreements and mandatory arbitration agreements. Best practices as of a year or so ago for preventing and responding to workplace sexual harassment may fall short today. Here are some fast-evolving updates. The 2017 Tax Reform Act included an amendment to IRC §162(q), disallowing deductions for settlement or other payments related to sexual harassment or abuse, and for related attorneys’ fees, if the settlement or payment is subject to a nondisclosure agreement (NDA). This new provision (the Menendez Amendment) is not a model of clarity. On its face, employers (and employees) who want to agree to an NDA may face a financial penalty. Legislation agreed to by Governor Cuomo and the NYS Legislature in April 2018 (Part KK of S7505-C) amends the NY Civil Practice Law and Rules (CPLR) to prohibit NYS employers from requiring mandatory arbitration for sexual harassment claims. This will take effect 90 days after enactment. Legal challenges, arguing pre-emption by the Federal Arbitration Act, can be anticipated. Even with this legislation, in response to a growing chorus of protests against forced arbitration, a growing number of employers are concluding that mandatory arbitration is no longer a sustainable business practice. In addition to the new provisions in the 2017 Tax Reform Act (see #1, above), Part KK of S7505-C also amends the New York CPLR and General Obligations Law, to bar employers from including NDAs in sexual harassment settlement claims, unless the confidentiality provision is the complainant’s preference. This too will take effect 90 days after enactment. Are your company’s anti-harassment policies up to date, detailed, and distributed and redistributed regularly? Is your company’s anti-harassment training robust, comprehensive, and designed to educate? If, like many, your company’s training is conducted via video or computer module, you may want to consider in-person interactive training. There is a growing consensus that in-person training can be much more effective in educating your company’s employees and demonstrating your company’s commitment to prevention. You may also want to consider conducting more robust background checks of new hires, especially those in sensitive and leadership positions. Employee climate surveys may help you identify problems before they lead to complaints. Of course, please consult a lawyer for advice tailored to your particular workplace. Investigations of complaints should be prompt, thorough, and professional. A thorough investigation should allow the investigator to make a credibility determination, even in a “he said – she said” situation. The complainant should be informed of the outcome. Resources elaborating on the standards for investigations are widely available. When an employer concludes that the complaint has merit, the employer’s response should be prompt and appropriate to the circumstances. And of course, the employer should be vigilant in monitoring for any possible retaliation against the complainant. Again, please consult a lawyer for advice with regard to any specific complaints. An ounce of prevention is worth a pound of cure. Juries today may be looking to punish employers who don’t take sexual harassment seriously, as demonstrated by the recent $13.4M verdict against Domino Sugar - $11.7M of which was punitive damages. The federal court jury verdict in Mayo-Coleman v. American Sugar Holding (S.D. N.Y. March 2018) - and the very high punitive damages award – is a resounding, loud and clear message the #MeToo era. The legal and social changes brought on by #MeToo are likely to continue for the foreseeable future. The evolving #MeToo landscape presents an opportunity to review and strengthen your company’s sexual harassment prevention and response protocols. 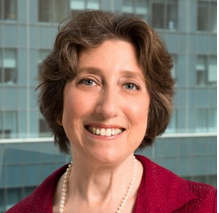 Deborah Karpatkin is an employment, military and civil rights lawyer based in New York City.